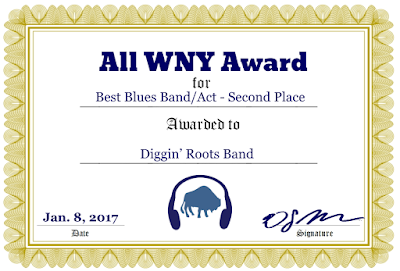 Tonight's new track on All WNY Radio is by the All WNY Music Award-winning Diggin' Roots Band. The Olean three-piece took second place in the Best Blues Band/Act category. The new track being played at 8 p.m. on All WNY Radio is "Muddy Water."